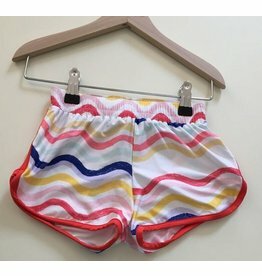 Girls shorts with multi color waves and red trim. 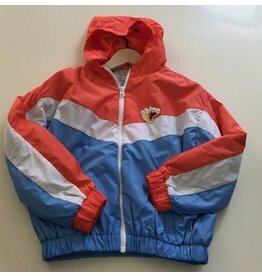 Hundred Pieces Canada. Hundred Pieces Vancouver. 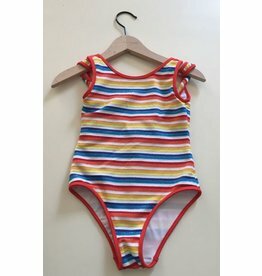 Girls multi color striped 1 piece swim suit. Hundred Pieces Canada. Hundred Pieces Vancouver. 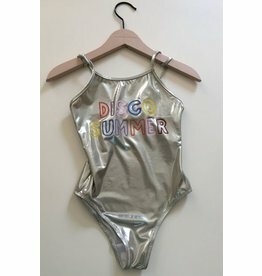 Girls metallic silver swim suit with disco summer words print. Hundred Pieces Canada. Hundred Pieces Vancouver. 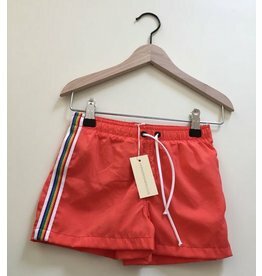 Rainbow stripe on red shorts with white draw strings. Hundred Pieces Canada. Hundred Pieces Vancouver. 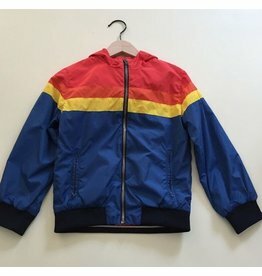 Boys zipper jacket in multi colors. 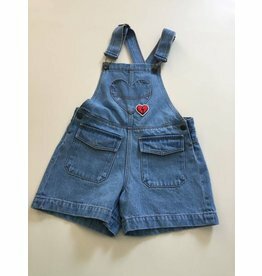 Hundred Pieces Canada. Hundred Pieces Vancouver.